Interested in exploring the intersection between environmental, economic, and racial justice in a faith context? The EcoFaith Youth camp offers interactive events for High School Youth focusing on environmental justice issues during the summer. 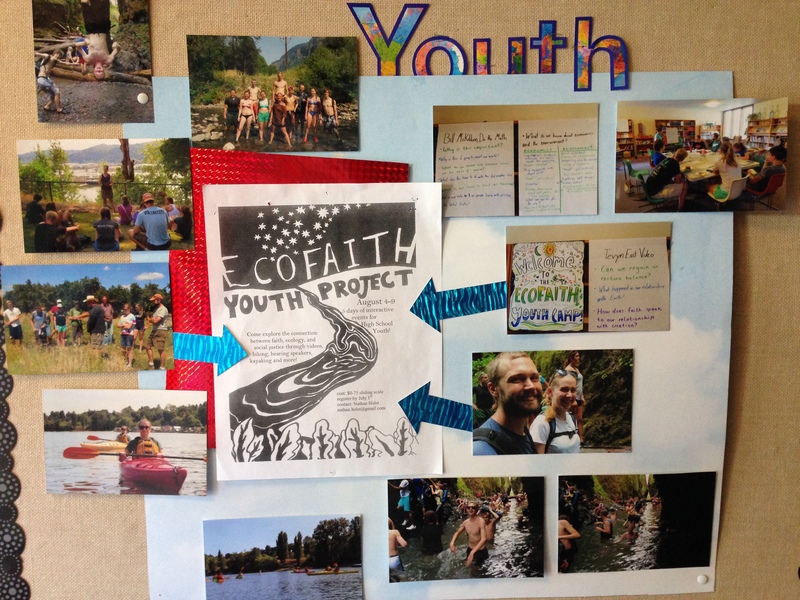 In 2014, Central Lutheran Church hosted and EcoFaith Recovery co-sponsored the EcoFaith Youth Project. The Youth Camp was 6 days packed with exciting activities for high school youth. Traveling to the coast for an overnight stay in a beach cabin. Day one: We got our week started off with a bang. We watched multiple videos, which combined to create a picture of the crisis currently engulfing our planet and the opportunity for us to shape its future. We discussed the connection between the environment and economics, in addition to answering some questions about how our parents and grandparents view the environmental crisis. In the afternoon, we climbed and waded our way between the walls of Oneota gorge to a swimming hole at the base of a churning waterfall. The trip gave us a moment to reflect upon what we had heard in the morning. Day two: Our second day began in the same fashion as the first, with an introduction to the theme of the day (water). We discussed our relationship with water and the Willamette River, and left Central to go kayaking on the aforementioned river. After our water hijinks, we drove over to University of Portland. After a lunch of pizza, Solveig Nielsen-Gooden took us on a journey through the history of the Willamette, from its wild, meandering, pre-colonialism self, to its current unhealthy self. Post-walk, we gathered around a sacred depiction of the river’s illness, singing and baptizing ourselves with its water to show our love for what it is and what it can be. 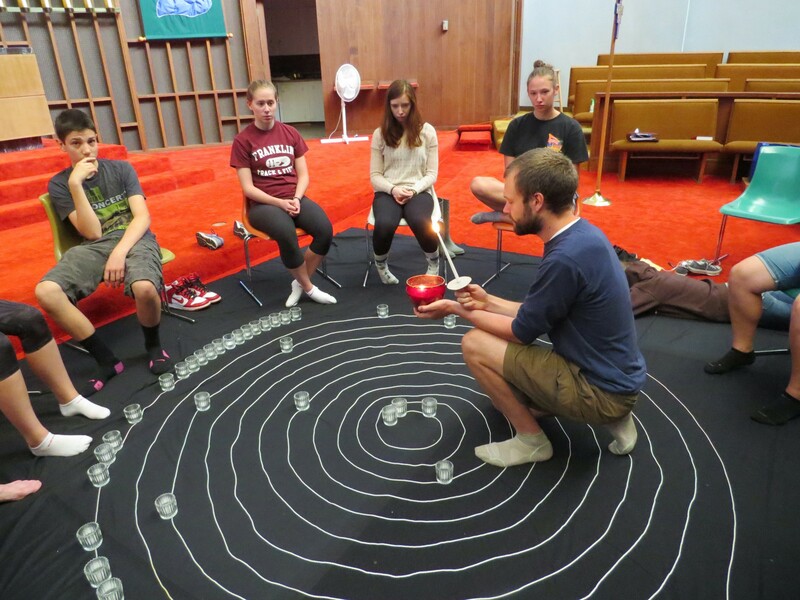 Day three: This morning, we set off with a simplicity workshop directed by Ecofaith intern Noah Gerlach. Immediately following the workshop, we traveled to Eloheh Farm in Newberg to learn about Eloheh’s mission, epistomological humility (look it up), and how we can relate to the land as well as the people that lived here before us. After our lunch break, we did some yard work, picking pears and pulling plants harmful to the livestock. Day four: After a brief introduction, we ventured out to Woodburn to discover the work of PCUN (Pineros y Campesinos Unidos del Noroeste-United tree-planters and farmers of the Northwest). Days 2 and 3 were dedicated to water and land respectively, and today was dedicated to the men and women who grow the food. We talked about systemic racism (PCUN works primarily with Latino immigrants) and the various ways PCUN has been working to combat it. We received a tour of their buildings, including the CAPACES Leadership Institute and two housing complexes built by PCUN for farmers. We also drove into a couple labor camps not built by PCUN. The differences were (and are) stunning. Some were single rooms where 10 people lived without running water. Many of the camps were situated next to fields that were sprayed with pesticides. Pesticides are the reason an average farmworker lives to be only 49 years old. Cuarto dia: Despus de una introduccin breve, fuimos a Woodburn por descubrir el trabajo de PCUN, Pineros y Campesinos Unidos del Noroeste. Los segundo y tercero d­as fueron dedicados al agua y la tierra respectivamente, y jueves fue dedicado a los hombres y las mujeres que se crecen la comida que comimos cada da. Hablamos sobre el racismo sistmico (PCUN trabaja con inmigrantes Latinos) y cmo podemos combatirlo. Fuimos a los edificios, como las CAPACES instituto de liderazgo y dos colonias de viviendo por los campesinos. Manejemos a unos campos de trabajo a ver la urgencia de la situacin. Unos eran dormitorios pequeos donde diez o ms personas viven. Estn a lado de los campos, con pesticidas. Porque de los pesticidas, la vida normal por un campesino es cuarenta y nueve as. Day five: Friday began with the Cosmic Story, a spoken history of the entire universe, told to us by Ruth Nicademus. Following a lunch of sandwiches at Taste Tickler, we cruised into Cape Meares for a night at Linda J’s cabin. After setting up, ultimate frisbee and soccer on the beach commenced. Tired from physical activity, we retreated to the cabin to create collages about how we are called to help the world and what our place in it is. After dinner, we shared our collages and spent the rest of the evening eating s’mores and star-tripping on the beach. Day six: A final evaluation, along with a couple poems, rounded out our week. 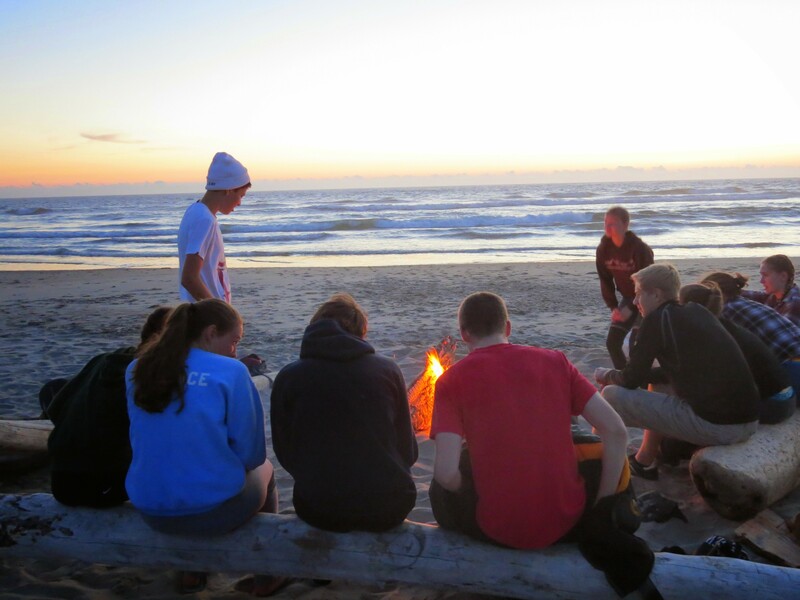 Here’s a recap by founder & leader of the camp Nathan Holst on the 2013 youth camp. This video gives a glimpse into the youth camp offered in 2013.